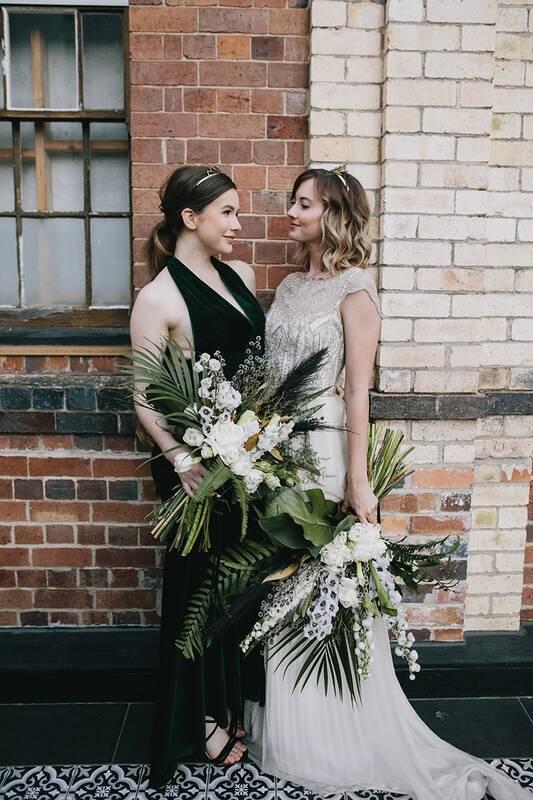 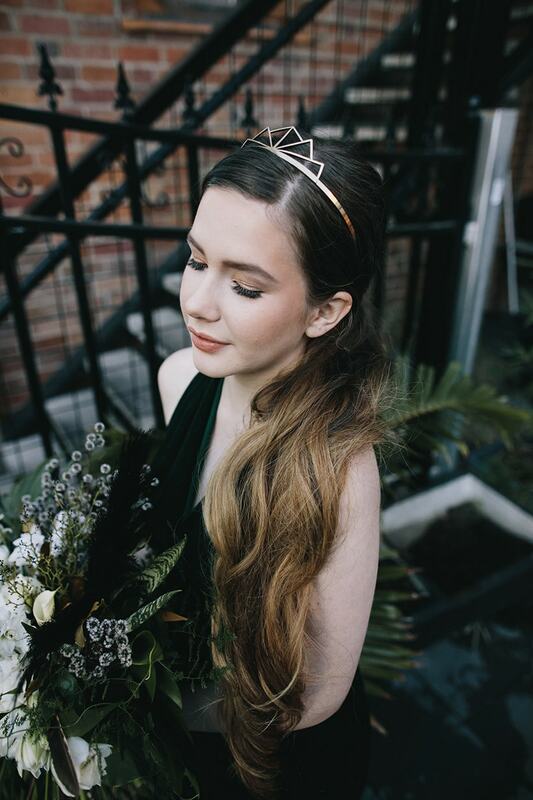 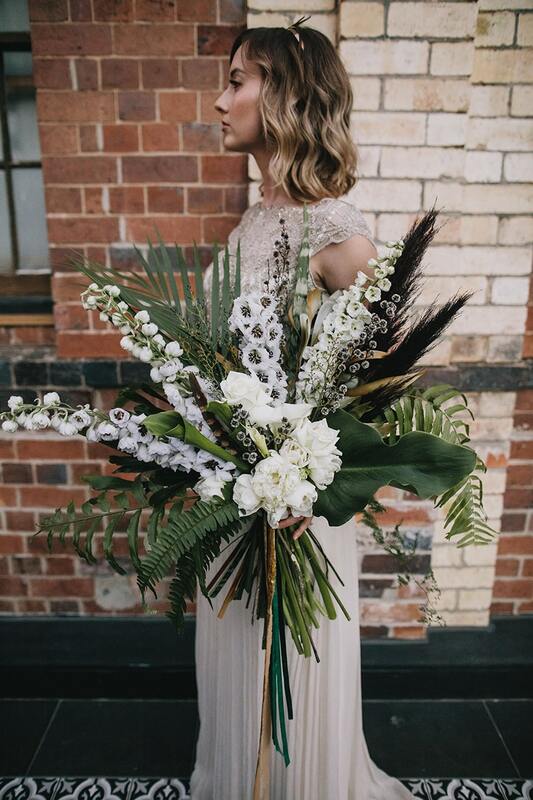 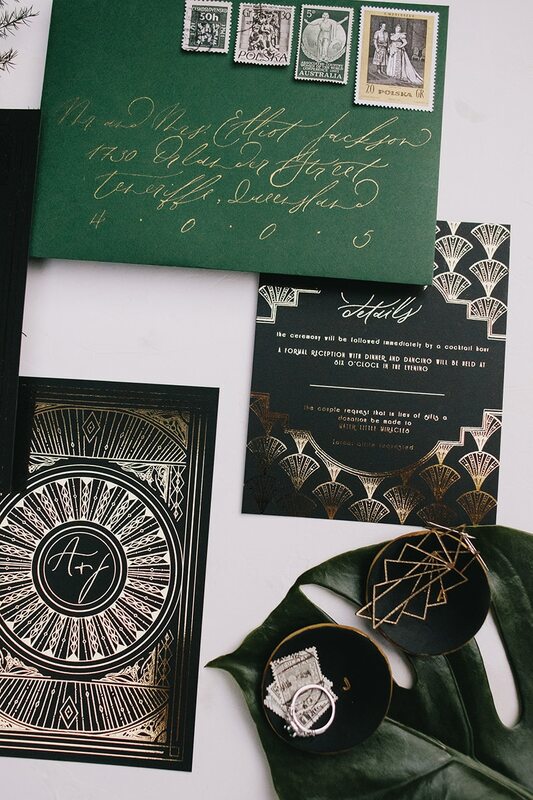 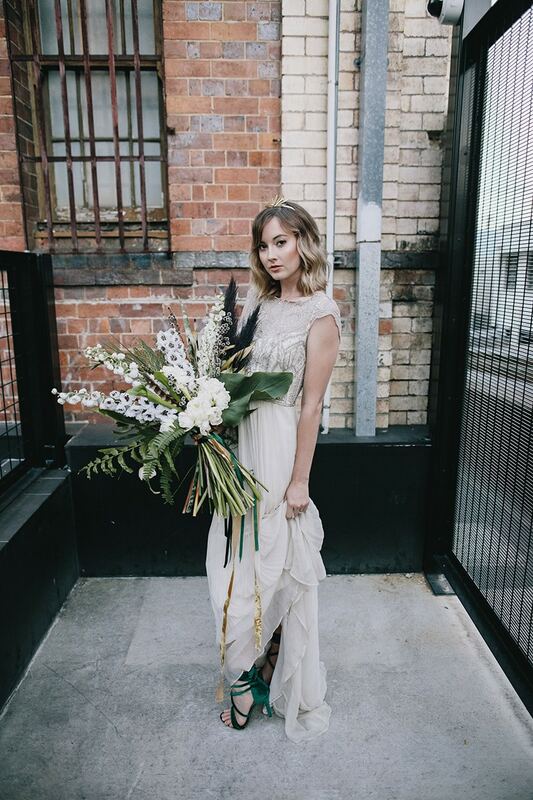 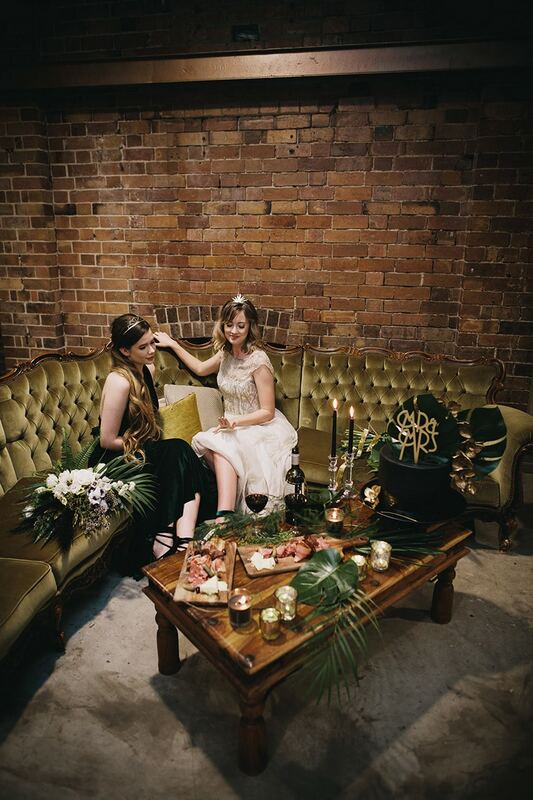 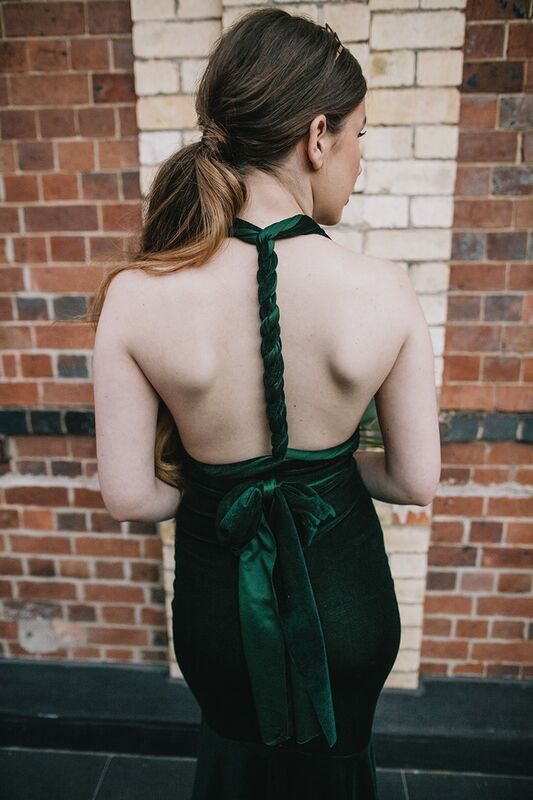 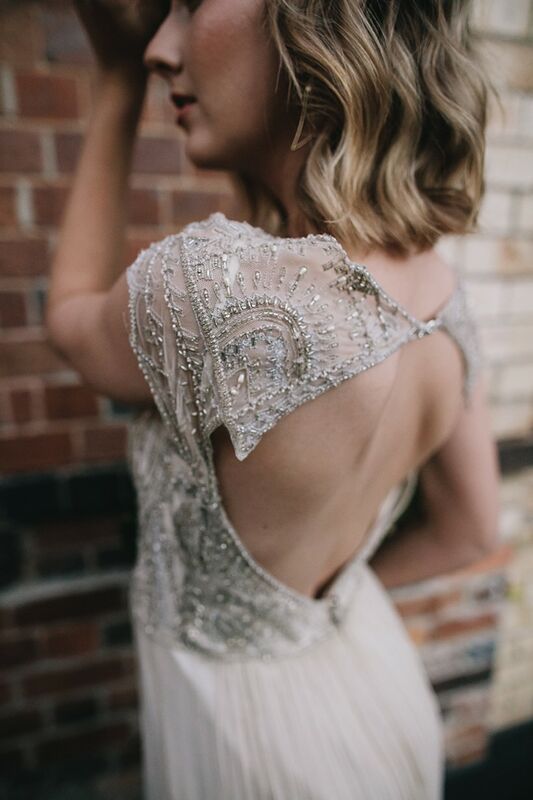 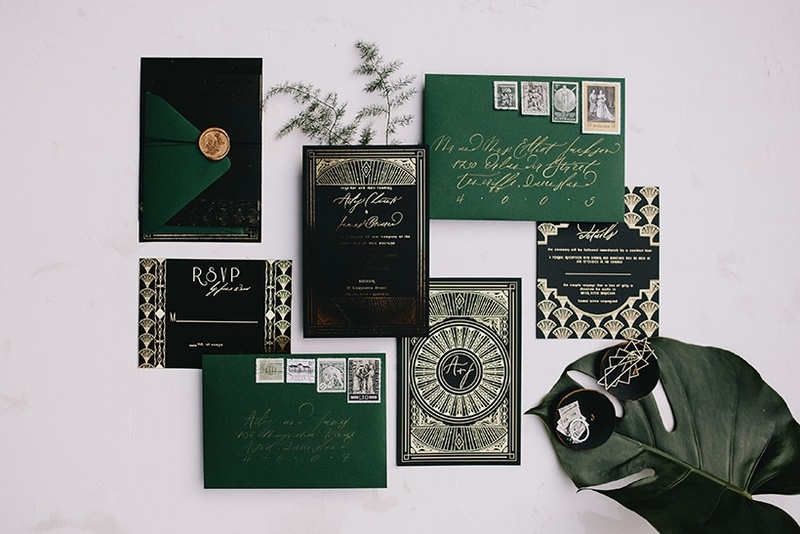 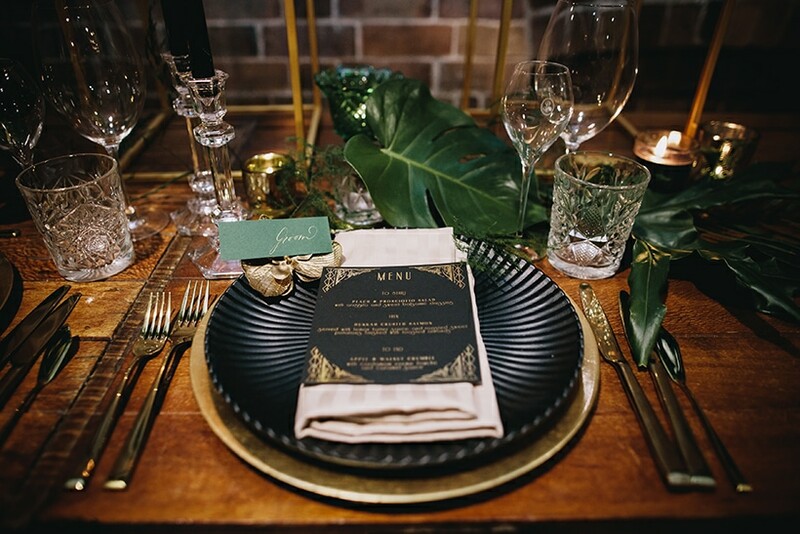 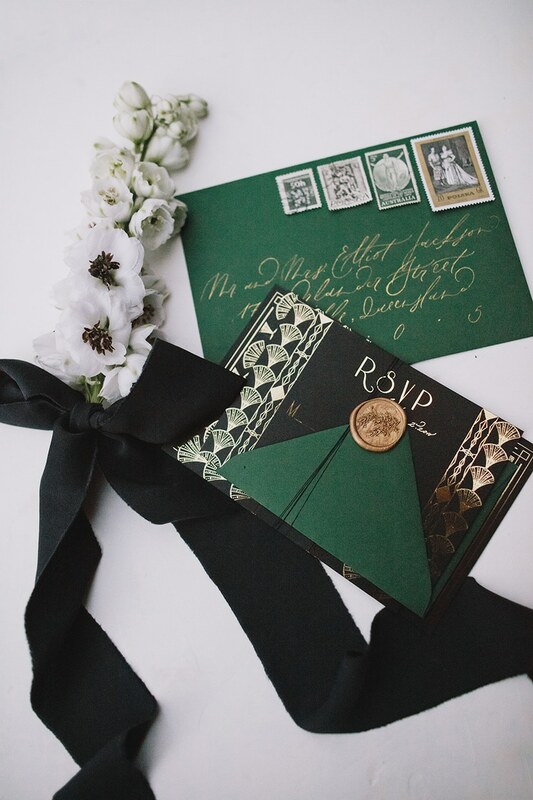 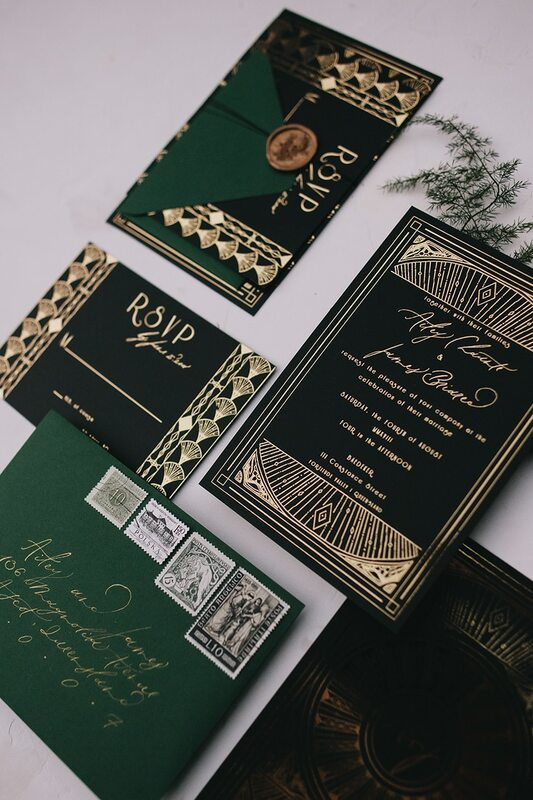 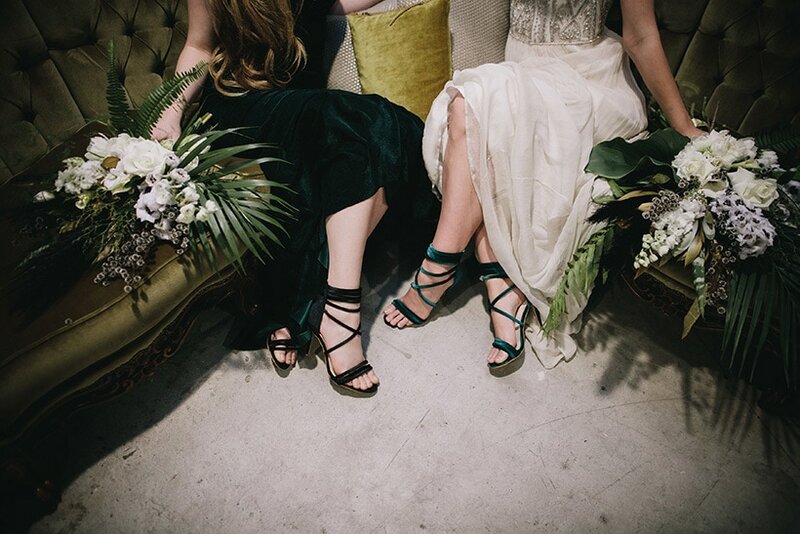 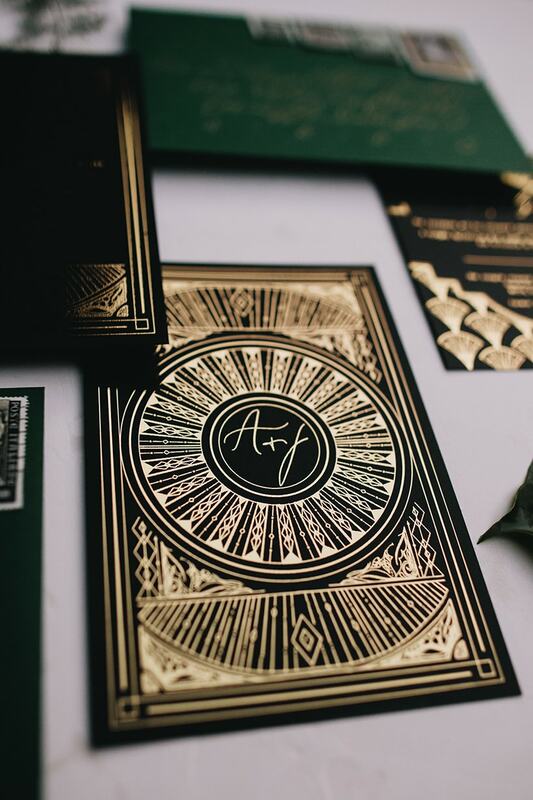 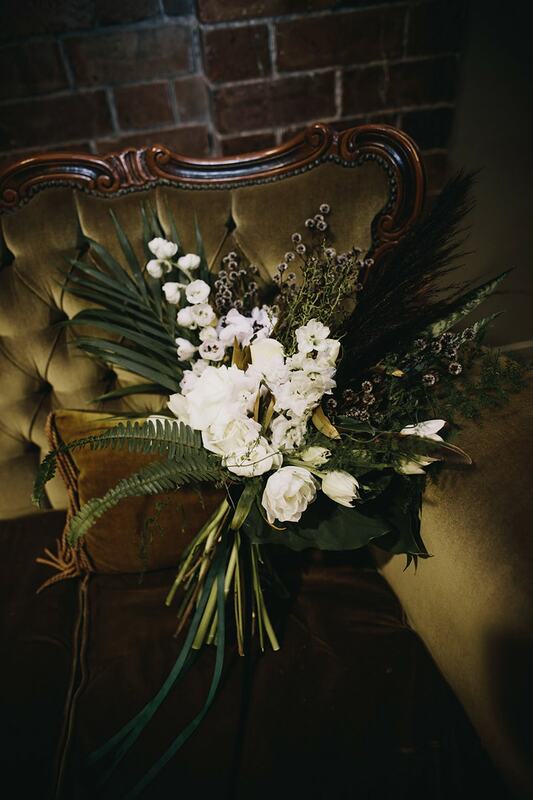 Classic twenties details are re-imagined in a sumptuous emerald, black and gold palette for this Art Deco wedding inspiration. 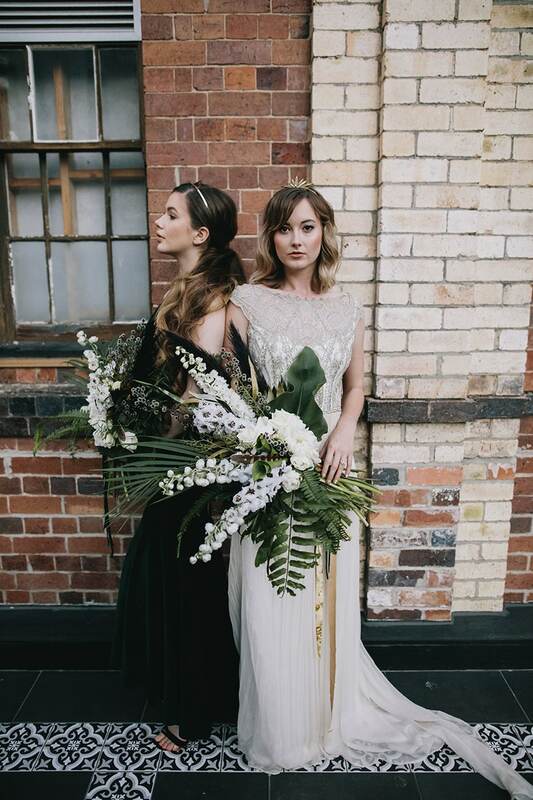 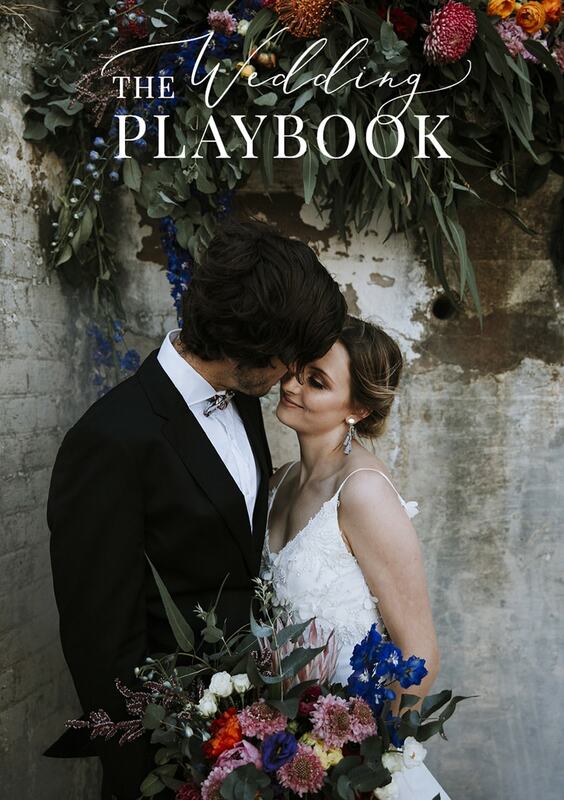 The bride wears a vintage beaded wedding dress beside her velvet-clad bridesmaid in a sophisticated nod to a bygone era. 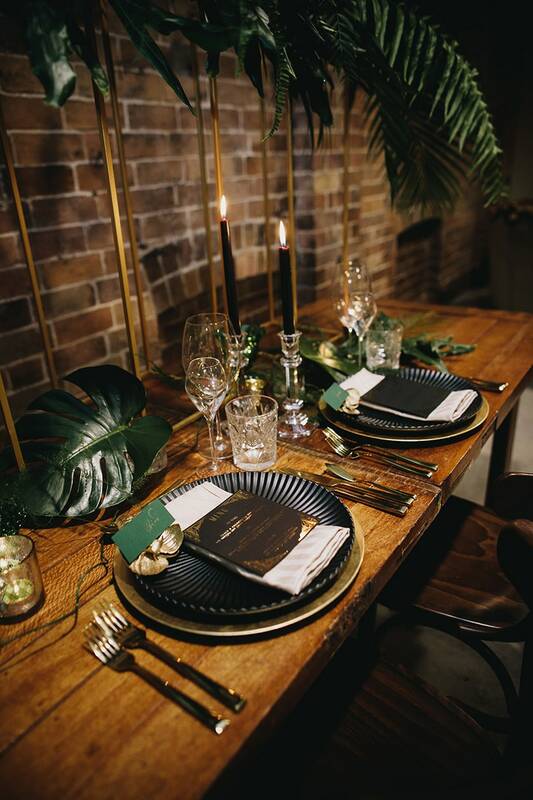 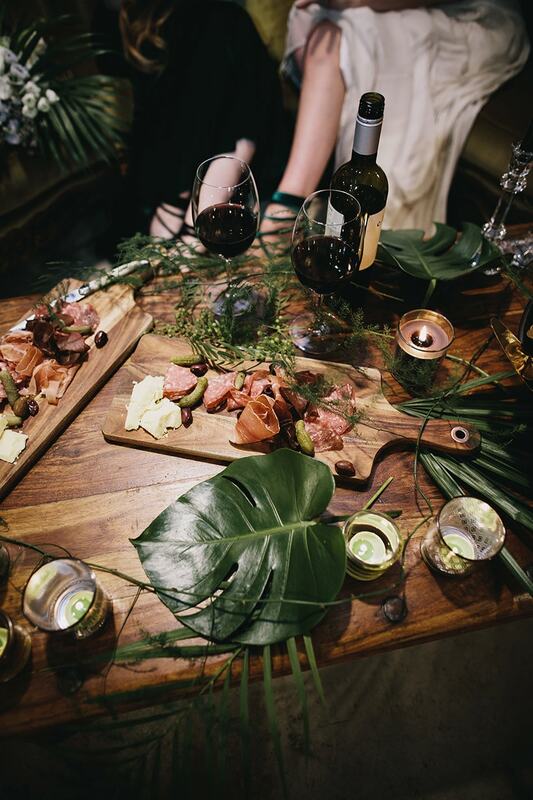 Grazing boards await cocktail hour and a jet black wedding cake topped with glossy leaves and cascading painted orchids adds beautiful drama! 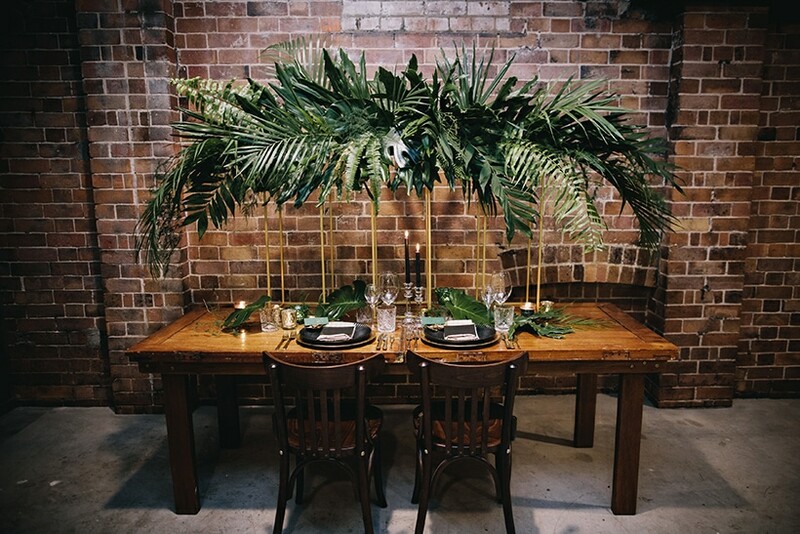 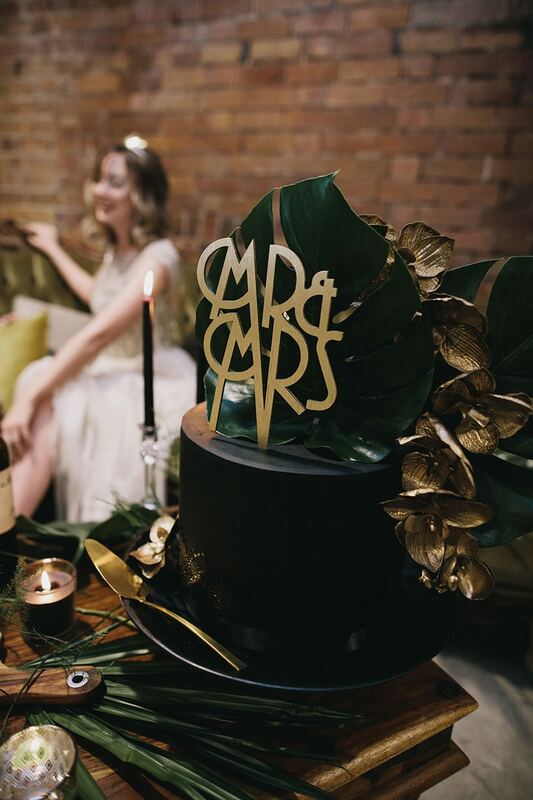 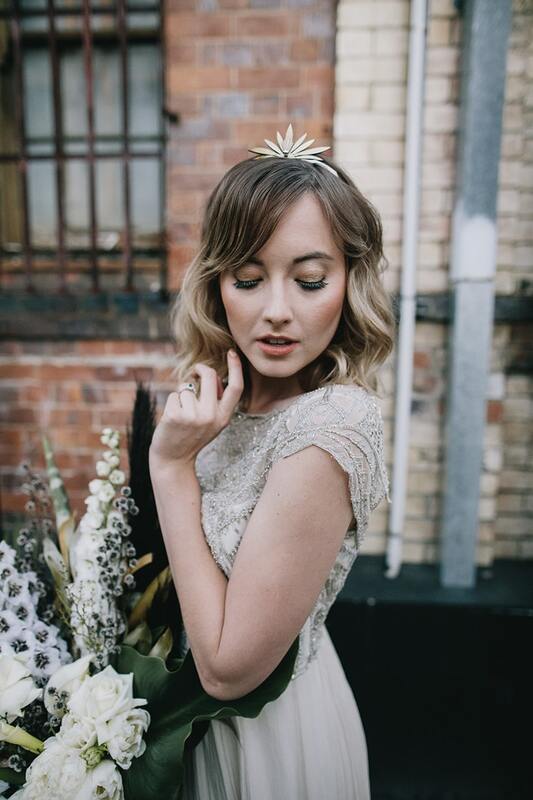 Melding the glamorous feel of the 1920’s with a modern tropical twist, we adore the fan detail which features in foil stationery, delicate headpieces, sprays of flowers and a canopy of palms spanning the reception table.